Since our Blog in August 2015 we have continued to update and add *the newest Downtown Sarasota condominiums currently for sale. 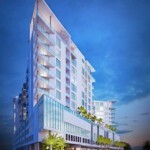 Here is the updated list of the NEW Sarasota downtown condos for sale. Click onto each link below for more information and sample listings for sale on that specific new downtown Sarasota condo complex. 711 Palm is located on the southern, residential end of Palm Avenue, and it offers a single-family home alternative with only 16 private, “floor-through” residences. Boutique community of only 20 residences. Affordable pricing in the heart of downtown Sarasota. Golden Gate Point. 8 beautifully appointed residences with water views. Palm just south of Main St. 30 luxuriously appointed residences. Prime downtown location. One unit per floor – 17 -4,000 sq ft residences. Golden Gate Point. 8 units over looking Sarasota Bay. 15 condominiums and 9 town homes in Burns Square. Ringling and Morrill. 39 contemporary town homes in Laurel Park. Located in Sarasota’s Rosemary District, Risdon on 5th is a sophisticated, artfully-designed mixed-use condominium development. Ringling Blvd. and Pineapple Ave. 17 urban inspired units in Burns Court. Palm and Alderman. 15 private residences. Gulf Stream and Main St. 18 Luxury residences. Doesn’t get any better than this for location and water views over the marina. Valencia at Rosemary Place Town homes Phase 1 Now Released with completion scheduled for Fall 2016! New Construction Town homes located in the Downtown Sarasota Rosemary District. The foot of the Ringling bridge to St Armands Circle and Lido Key. 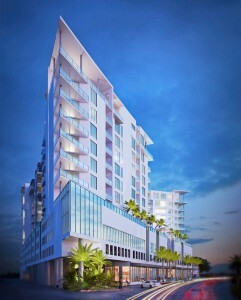 Residents will have access to the West in Sarasota with five star resort amenities. 141 units in total. Sarasota’s newest luxury residence at the Ringling bridge and Gulfstream. Call or email to make an appointment for our Downtown Sarasota condo tour or to get more information on one or more developments that interest you. 941-993-3159 or email us at Maureen@Dohertyrealestate.com Your Sarasota Downtown expert. Mo Knows Condos.